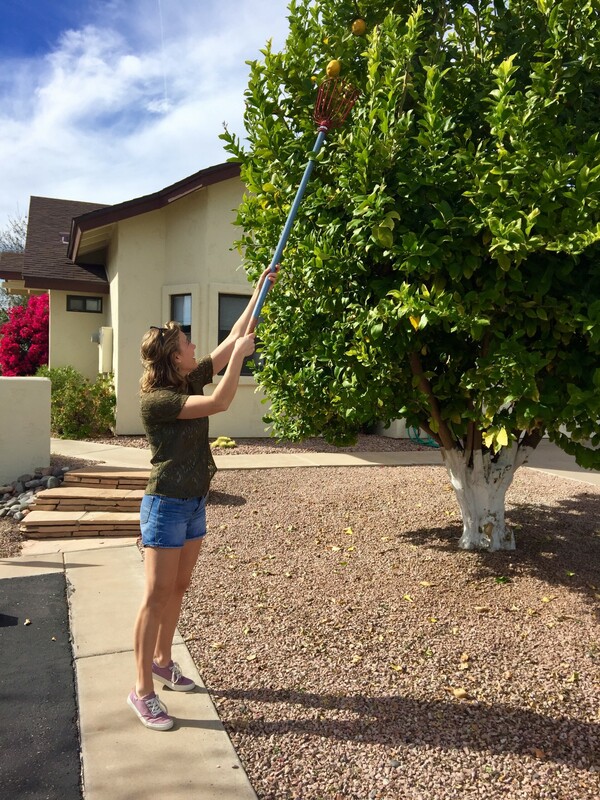 I recently got back from a much-too-short trip to Arizona with my mom. We (luckily) had gorgeous, sunny, mid-70s weather every day we were there. Our short stay was packed, between happy hour, potlucks, and morning coffee at the retirement community (I increased my retirement savings the minute I got back), to visiting Papa, and squeezing in a brief hike with an old friend. There just wasn’t enough time to slow down and appreciate the break from the pace of everyday life. 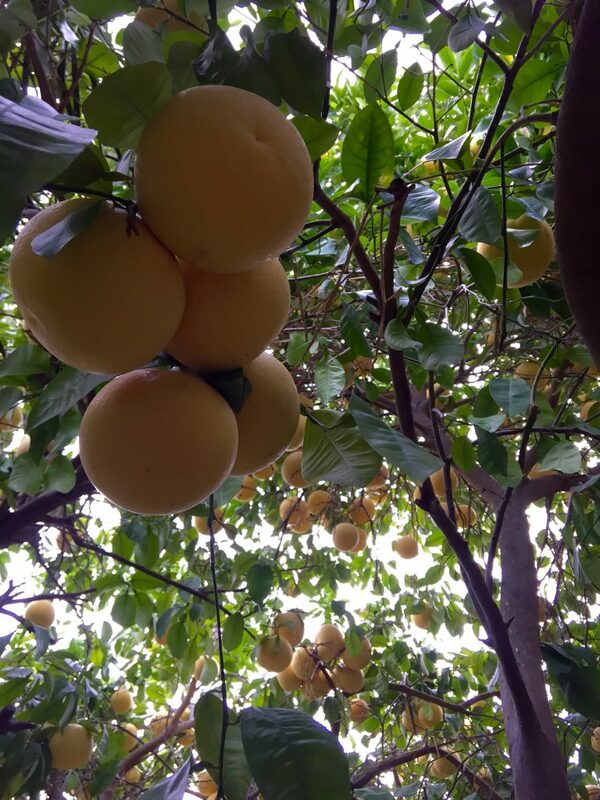 Scattered around the retirement community (and around Phoenix) there are tons of lemon, orange, and grapefruit trees dripping with gorgeous, plump fruit. 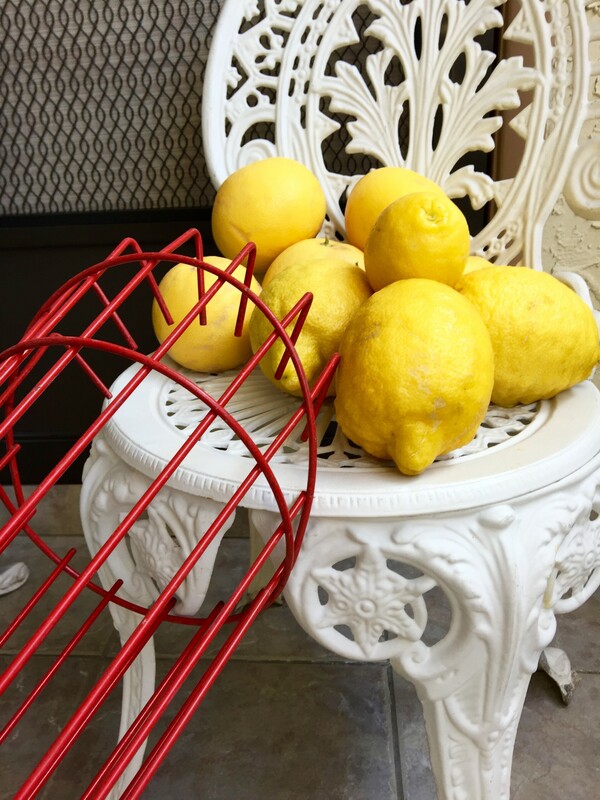 Excited for lemons and oranges, I wasn’t particularly ecstatic about the grapefruit. But picking a few right from the tree every morning changed my opinion. 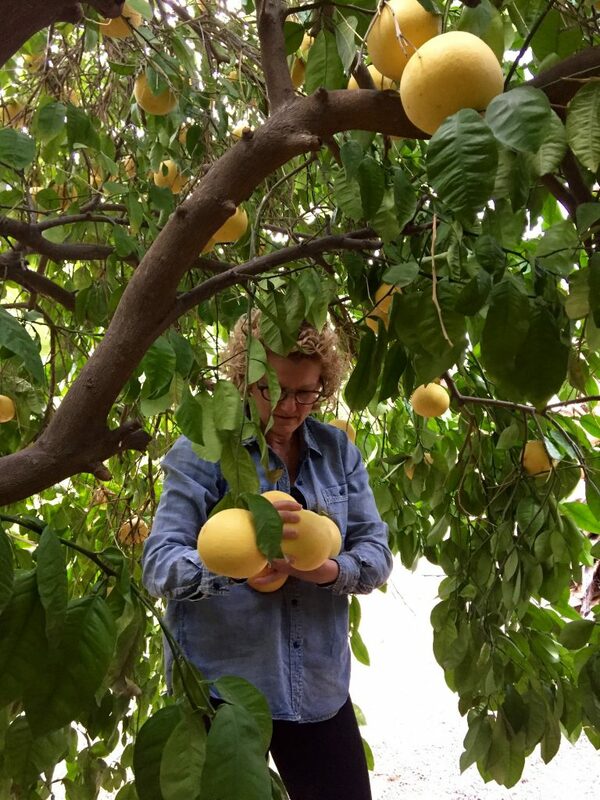 Freshly picked, the grapefruit we had for breakfast was so much tastier than the kind I’ve experienced here in the Midwest. 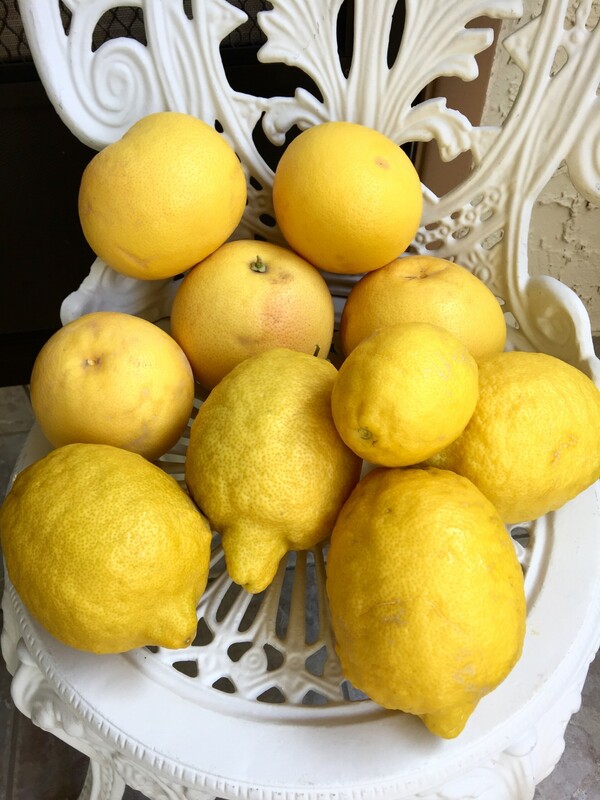 On average, every day I had at least half a grapefruit, 2 or 3 oranges, and half a lemon in some form — usually a cocktail. Needless to say, there was no shortage of vitamin C and my immune system happily accepted it in preparation for traveling. 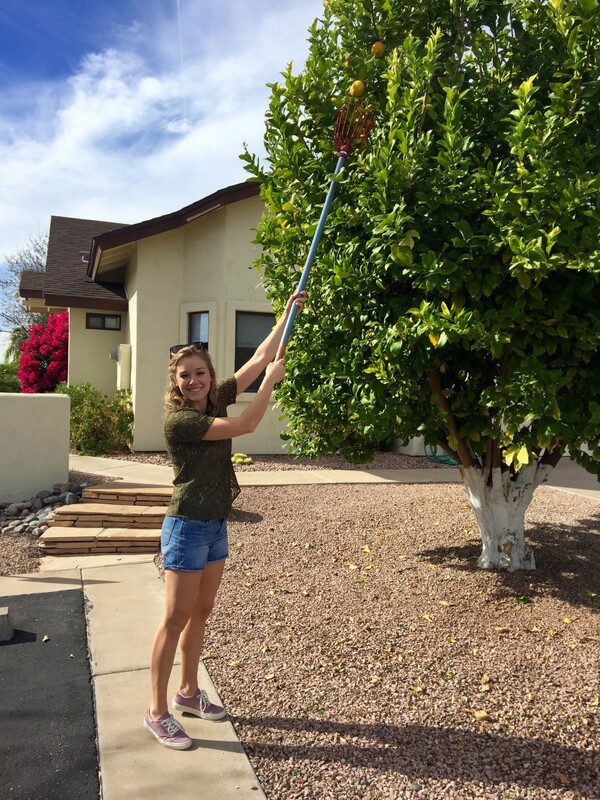 Bound and determined to continue our citrus binge, Mom and I packed our luggage with grapefruit and lemons before leaving —causing some weight training on the way back. 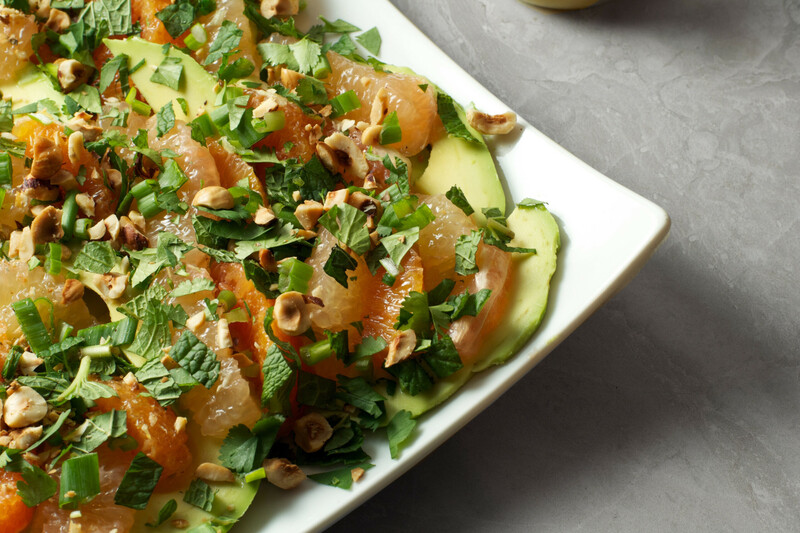 The heavy lifting was all worth it just to have grapefruit every morning for breakfast, but this Avocado & Citrus Salad makes it that much more sweeter. 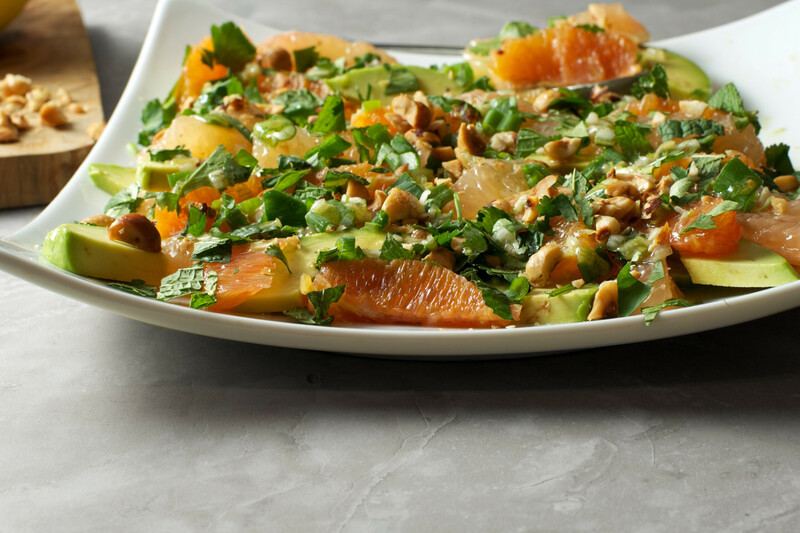 Inspired by our citrus-filled trip and a recent recipe from the January Issue of Cook’s Country, this salad is as gorgeous as it is delicious. 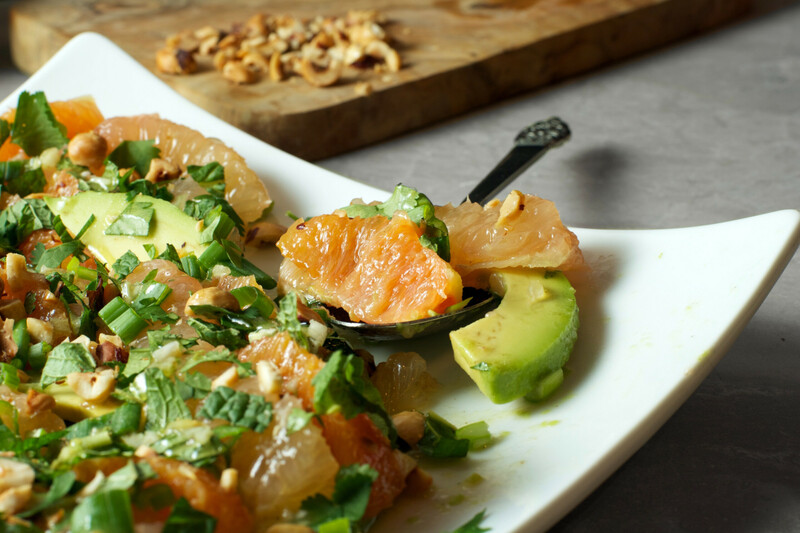 Arrange avocado slices in a single layer on a large plate, then place grapefruit segments and orange segments evenly over top. 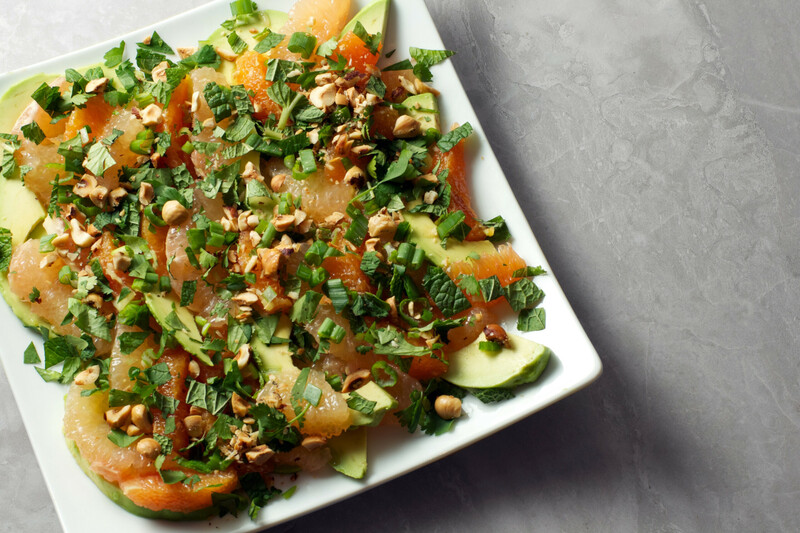 Sprinkle mint, cilantro, hazelnuts, and scallions over top. For the vinaigrette, whisk together oil, vinegar, scallion whites, Dijon, honey, salt, and pepper. Drizzle dressing over salad and serve immediately. 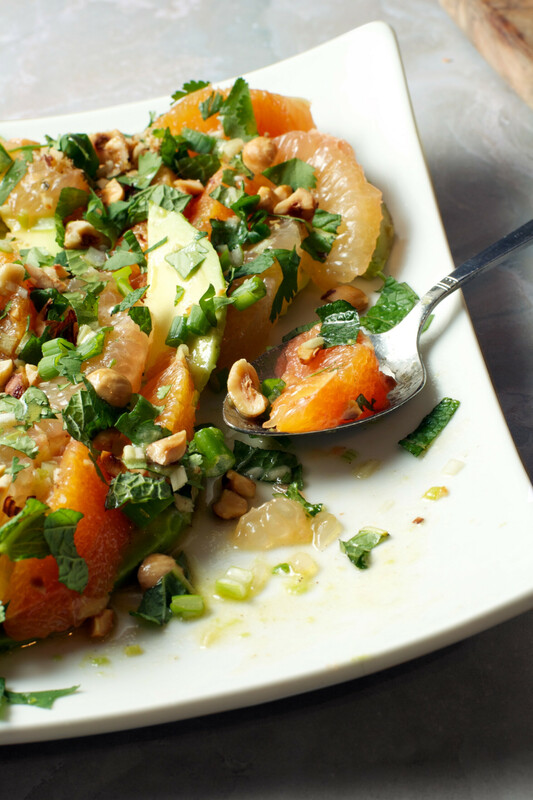 To supreme citrus, check out this how-to video. This looks amazing! Something to try with the avocados we brought back from Texas!! Thanks! Yum, fresh avocados, sounds great! This looks delicious and so refreshing! 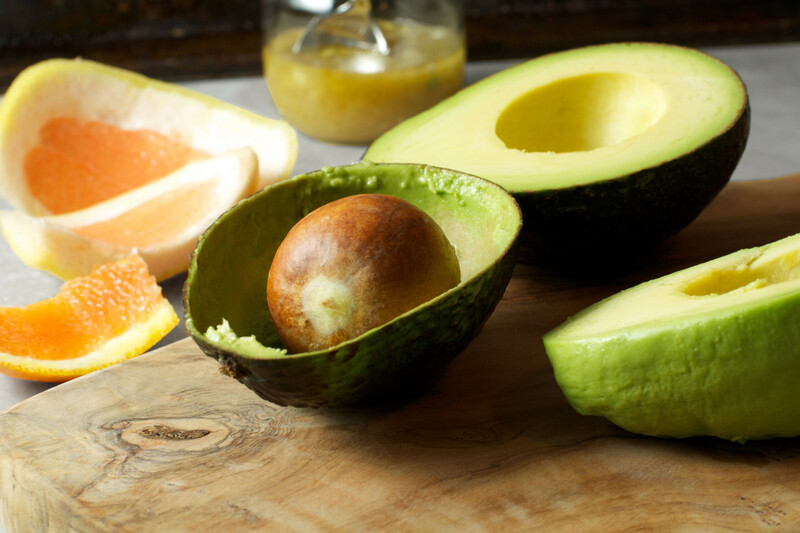 I love grapefruit and avocado! WOW! 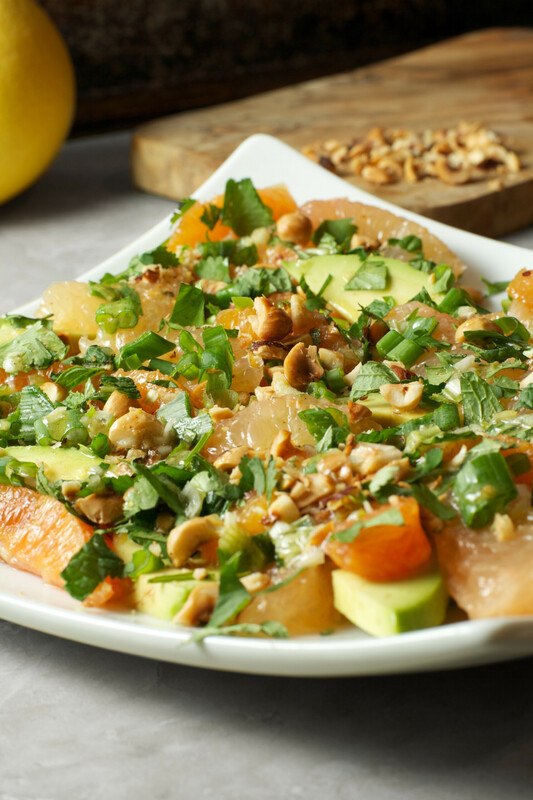 This salad was sooo refreshing and delicious! I loved the dressing– I used regular mustard and did not add the shallot and it was still amazing. 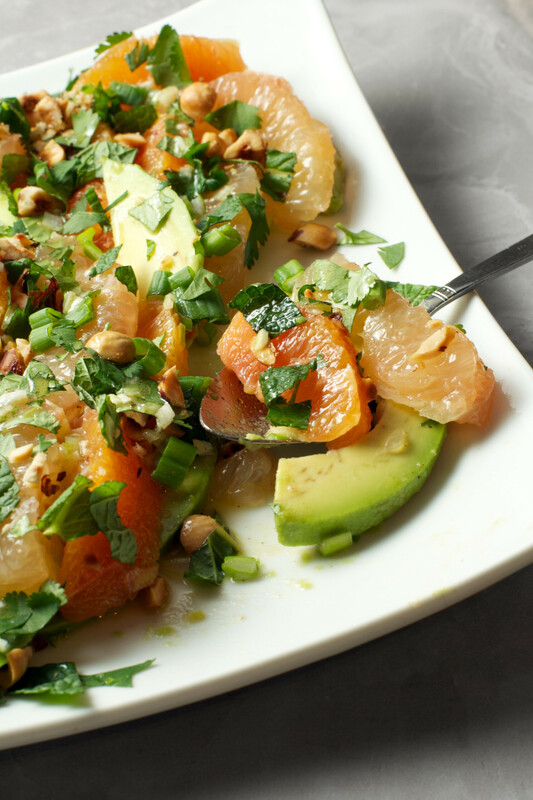 I also added goat cheese because I think it pairs really well with the citrus. I’m so glad to hear you enjoyed the salad. I love the changes and additions you made, I’ve got to try it with goat cheese now, sounds great!